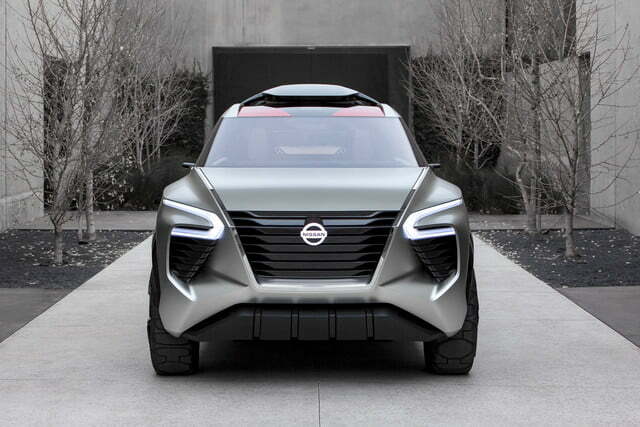 SUVs are a dime a dozen, but Nissan is working on a way to help its future sport-utility vehicles stand out from the crowd. 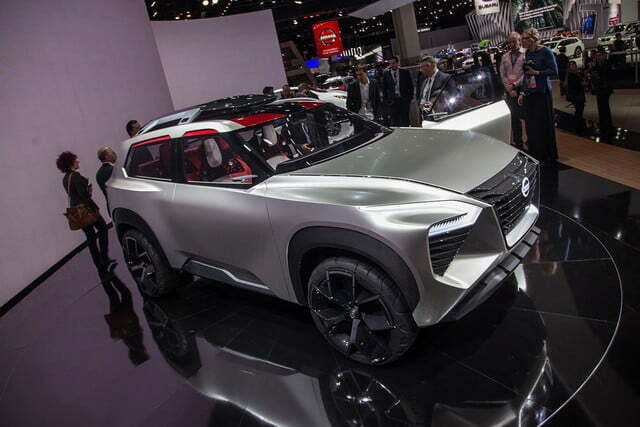 Debuting at the 2018 Detroit Auto Show, the Nissan Xmotion concept aims to take Nissan back to its roots with an emphasis on Japanese design elements. 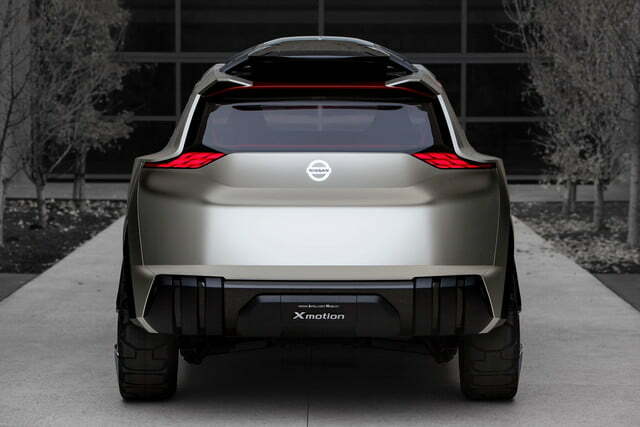 The Xmotion (pronounced “cross motion”) was designed to have a less “Western” look than other SUVs, according to Nissan. 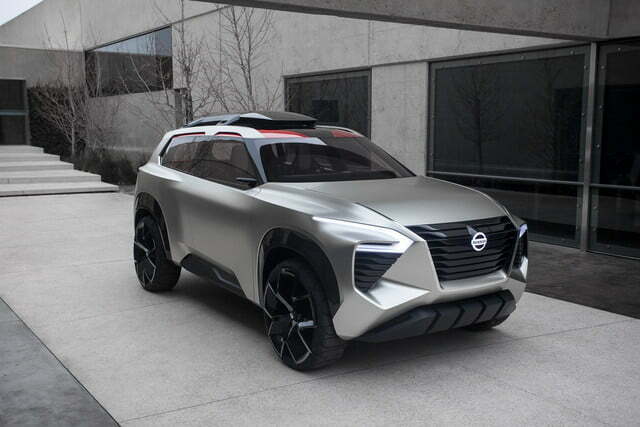 While there are still plenty of traditional SUV styling cues, like prominent flared fenders, Nissan said its designers tried to streamline things a bit and incorporate the “wedge” shape more commonly seen on sports cars. 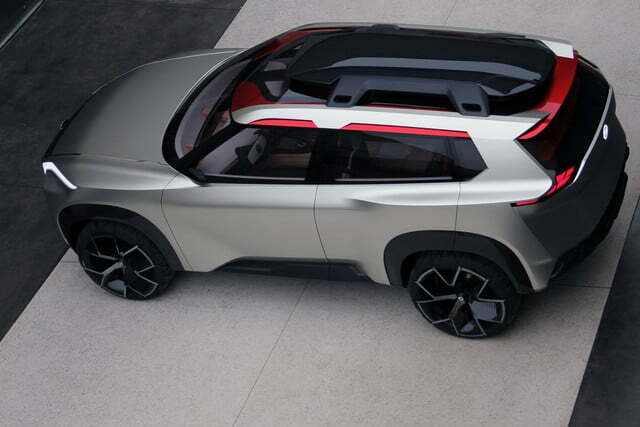 We don’t see much of that, to be honest, but we do think the Xmotion looks like a futuristic version of the cult-classic Nissan Xterra, and that’s a good thing. 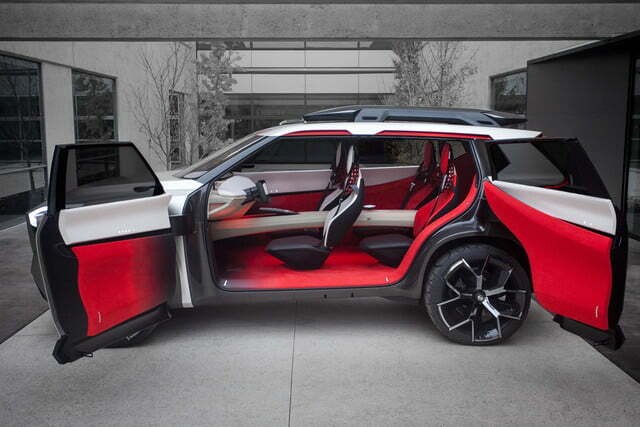 The design is also chock full of references to Japanese culture. 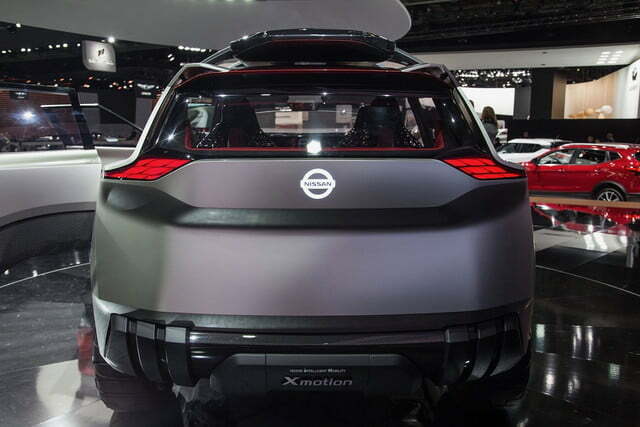 The taillights inspired by kumiko woodwork and puzzles, as were the seat headrests. 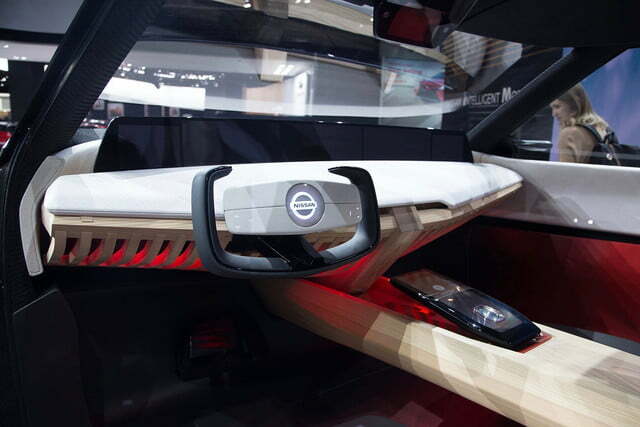 The dashboard and center console were made using kigumi wood joinery. 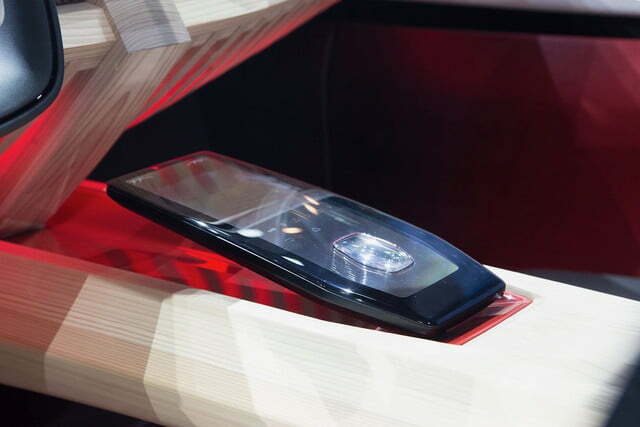 Even the tech has a Japanese theme: The Xmotion’s infotainment system includes a digital assistant that takes the form of a koi fish. 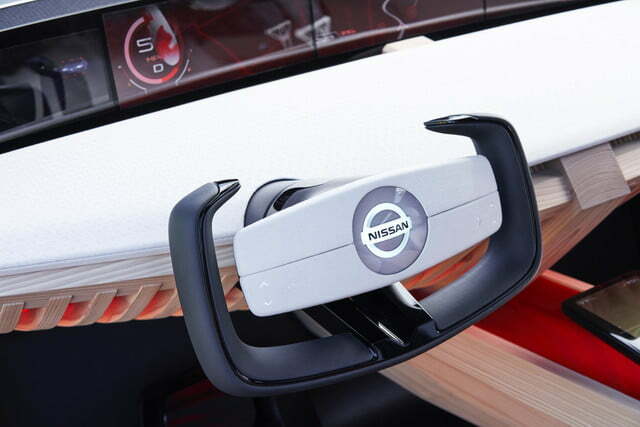 The interior has what Nissan calls a “4+2” configuration, with three rows of two seats each. 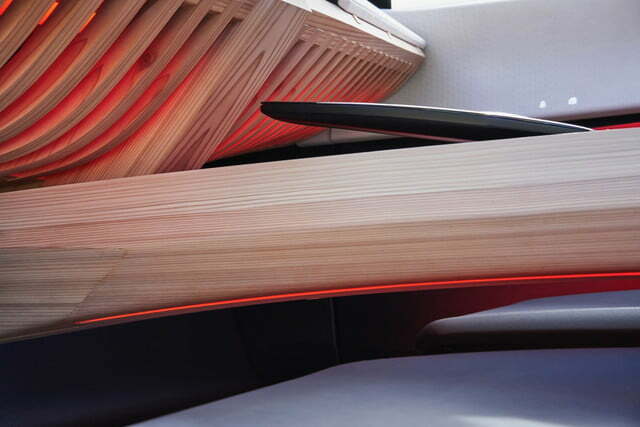 The “+2” designation usually refers to sports cars with rear seats too small for everyday use. 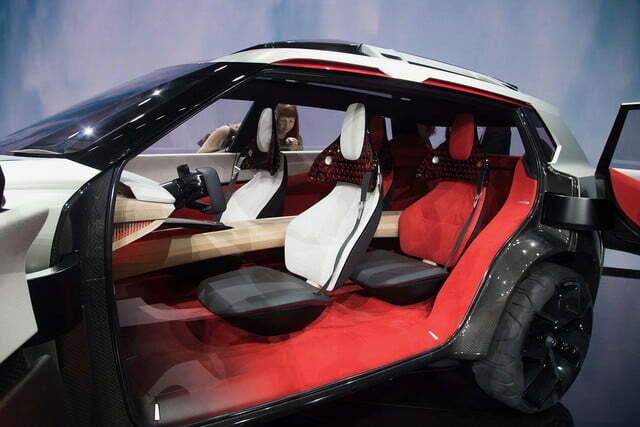 Sure enough, the Xmotion’s third row is only suited for small children or very uncomfortable adults. 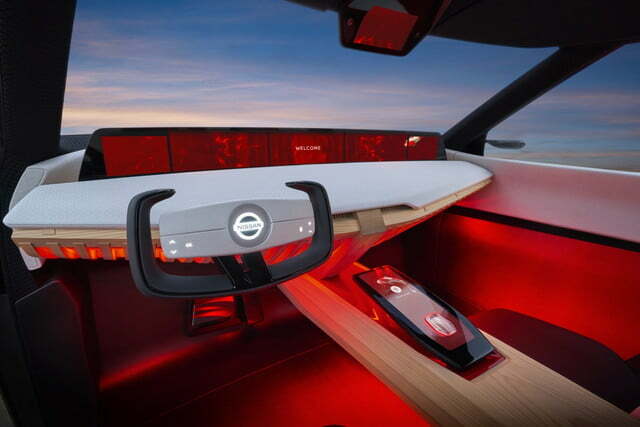 The driver gets an aircraft-like yoke instead of a steering wheel, and an expansive touchscreen that looks like it was copied from the Byton electric SUV concept. 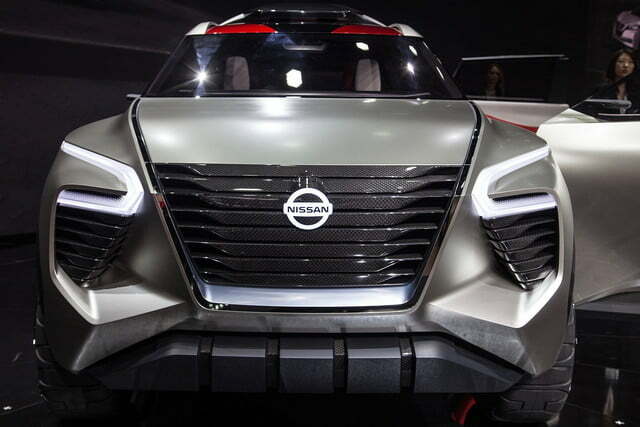 Since the focus is on design and tech, Nissan didn’t offer any details on the powertrain. 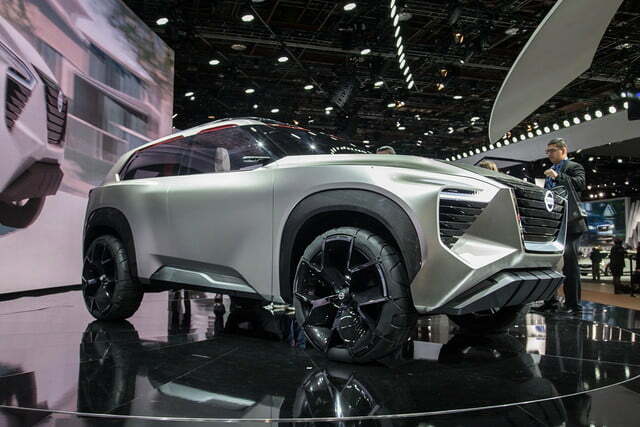 But it did say the Xmotion is capable of autonomous driving. 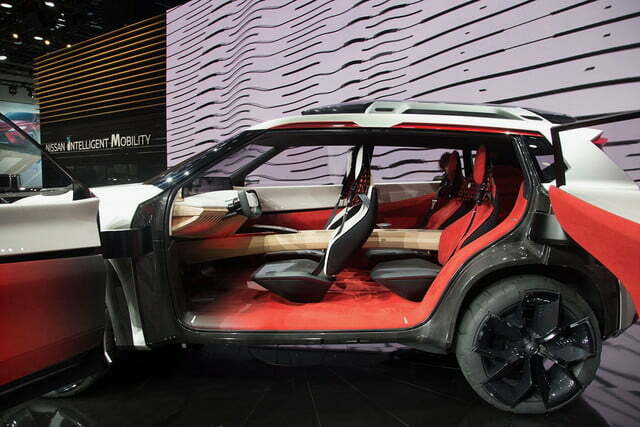 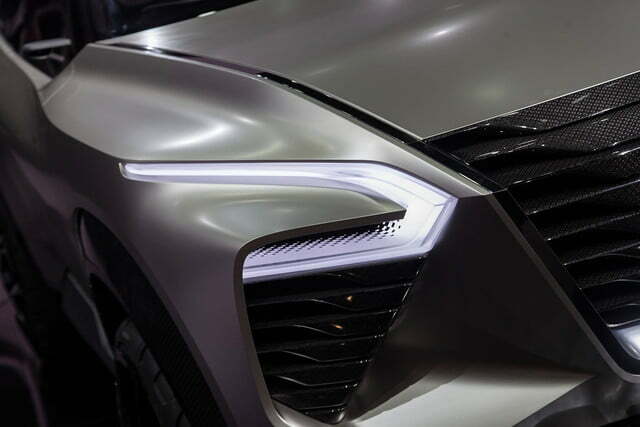 The SUV concept also features a camera system in place of mirrors, and fingerprint recognition that cues the infotainment system to the user’s personal preferences. 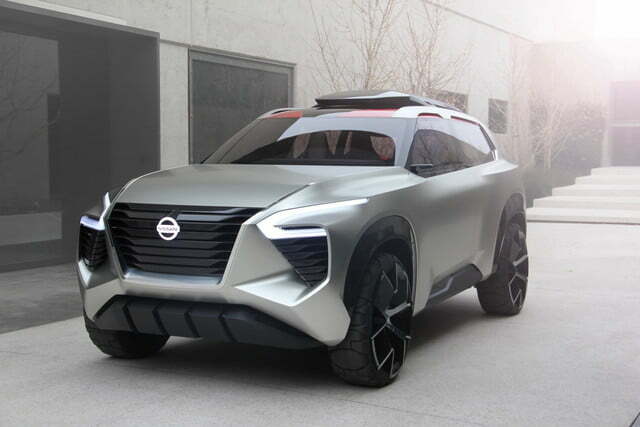 The Nissan Xmotion concept isn’t intended for production, but we wouldn’t be surprised if some of its design elements ended up on future Nissan SUVs. 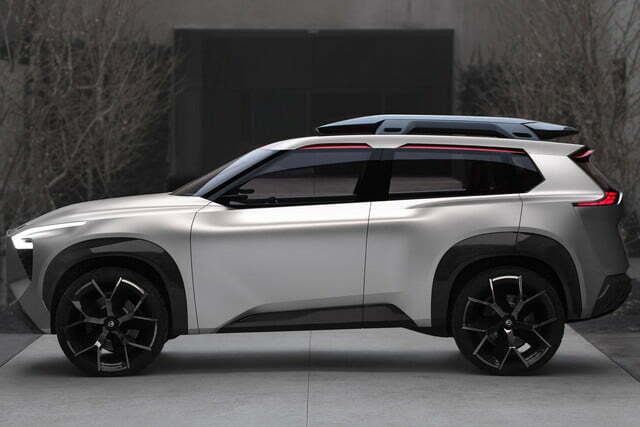 Given recent reports that Nissan is considering a new version of the Xterra, we can’t help but wonder if the Xmotion previews that model in some way. 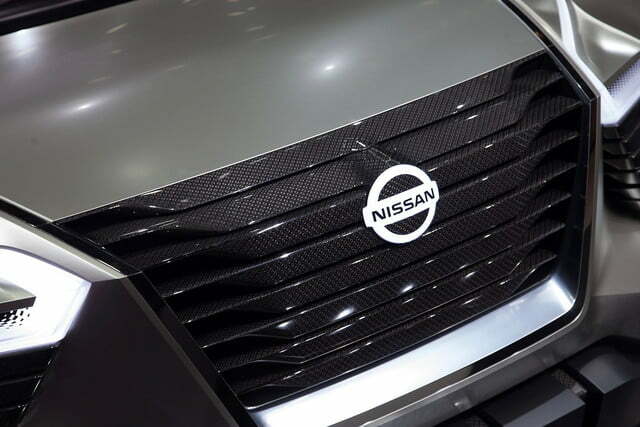 X marks the spot, right?